Outfitted in Wildfire Camo to make range time a little more flashy. Affordable, reliable and fun to shoot. Mossberg has been an innovator in affordable, high-quality firearms since 1919 and they've done it again with the Blaze. 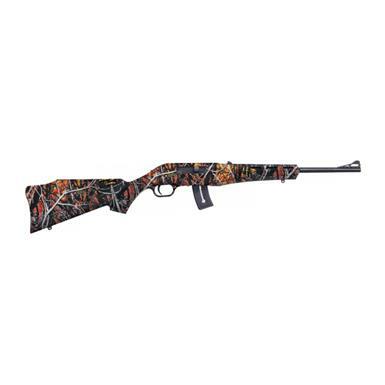 Chambered in the affordable and easy-to-handle .22LR, the Mossberg Blaze will quickly become your go-to "fun gun." The polymer receiver helps make it a feather-light 3.5 lbs., something you'll appreciate while you're ripping up the range!